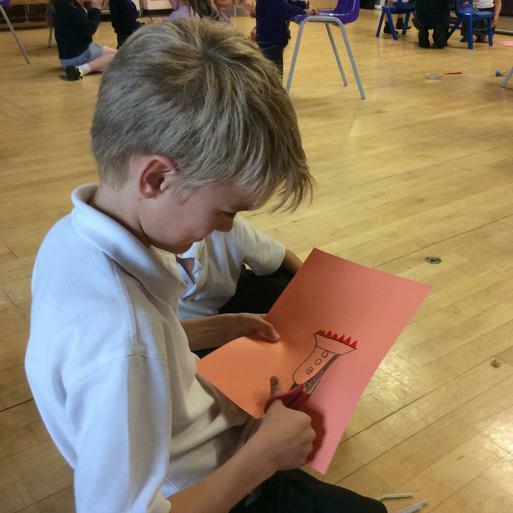 Yesterday, Class 5 spent an hour at Benhall Infant School with the reception children, designing and building rockets. 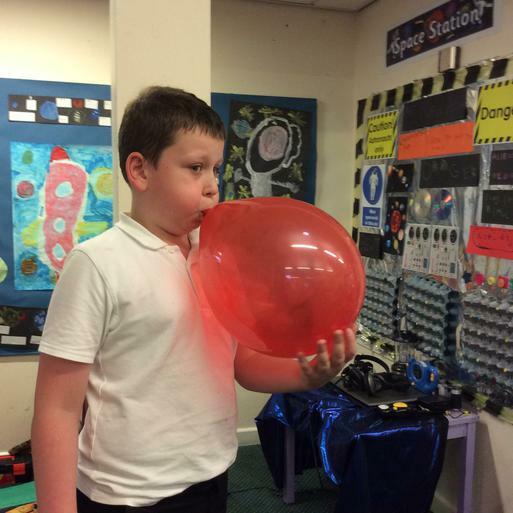 Ben (class 5) said: "I thought it would be a nice idea if we could help the younger children to learn about science. 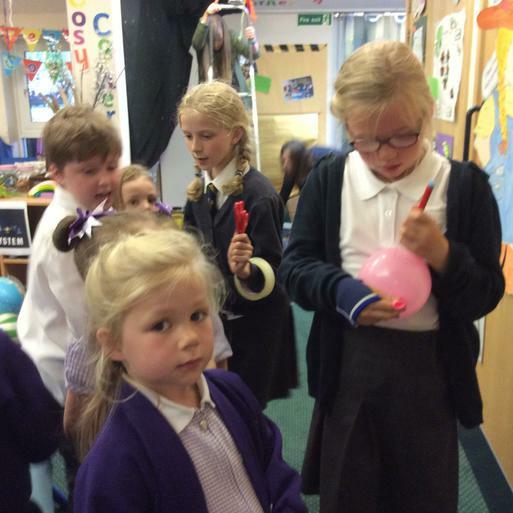 We were looking at Newton's laws of motion and I found some useful experiments on the internet to do with rockets." 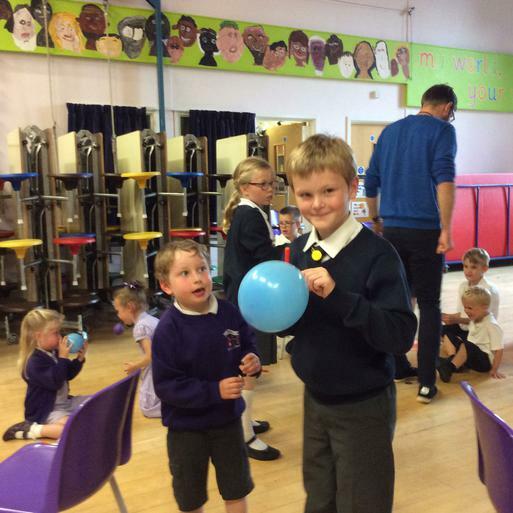 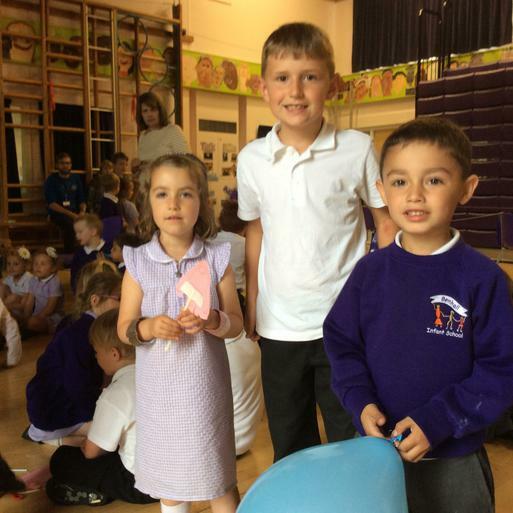 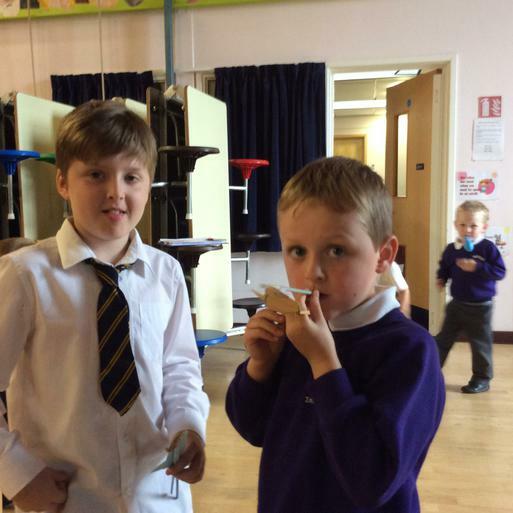 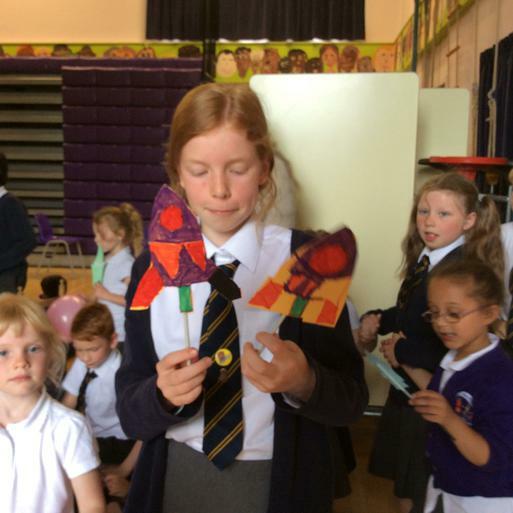 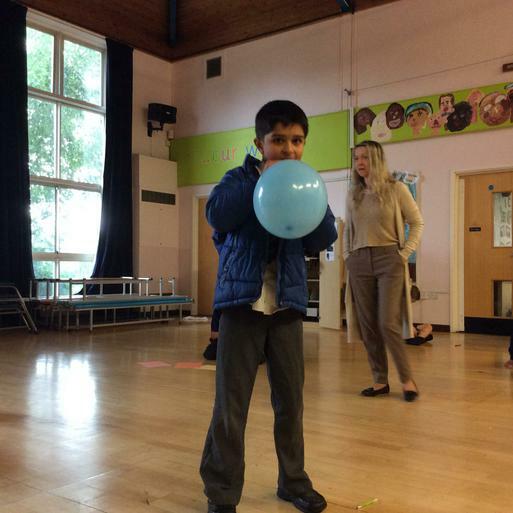 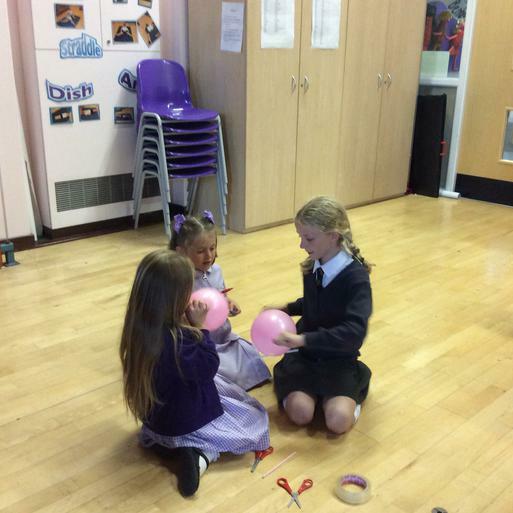 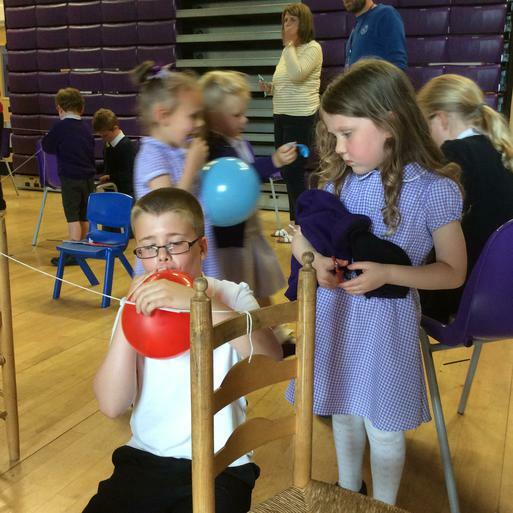 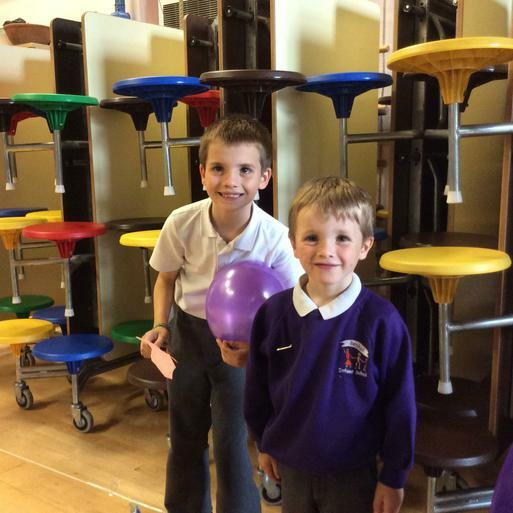 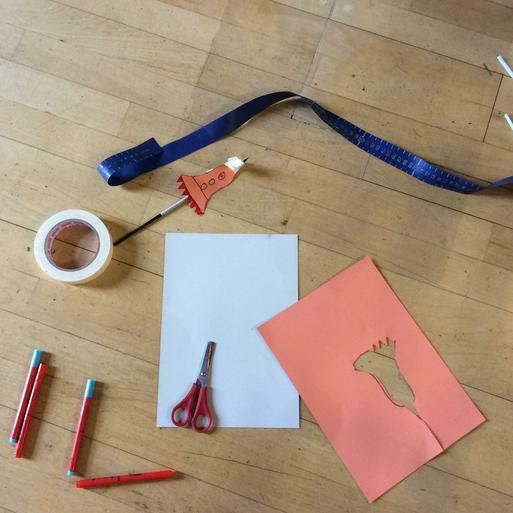 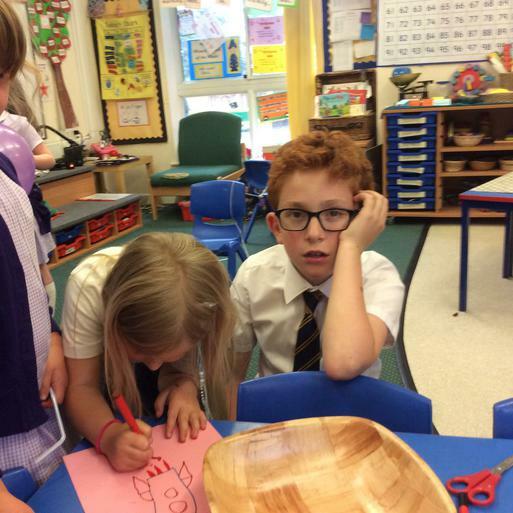 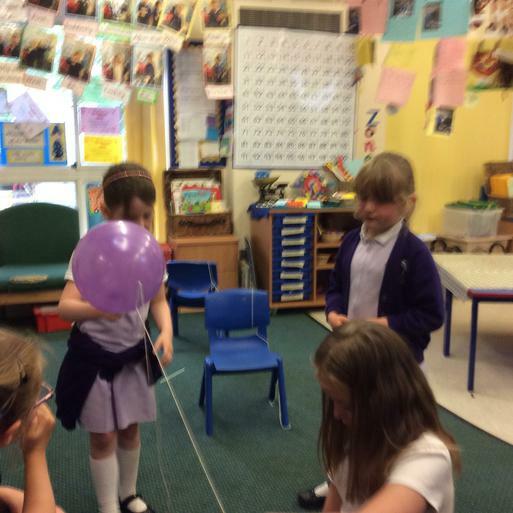 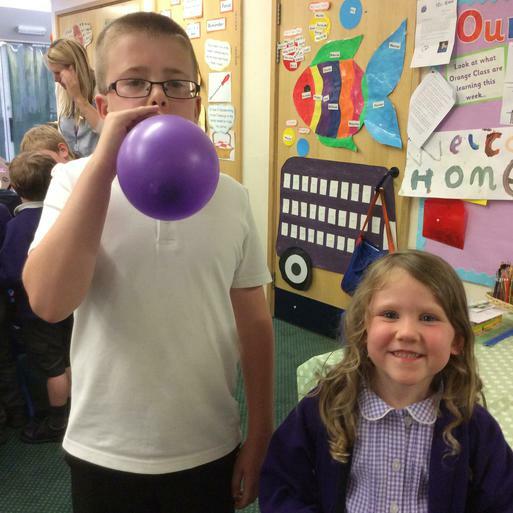 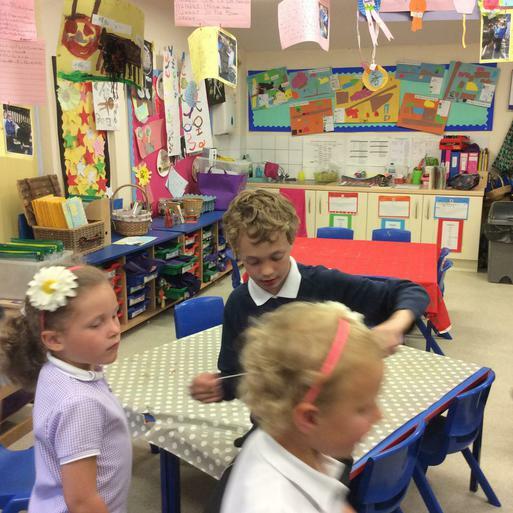 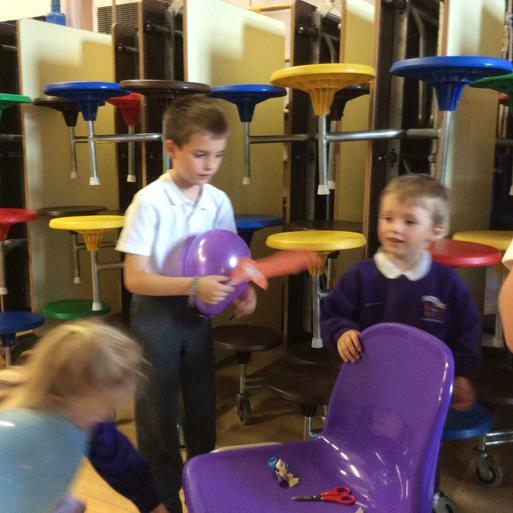 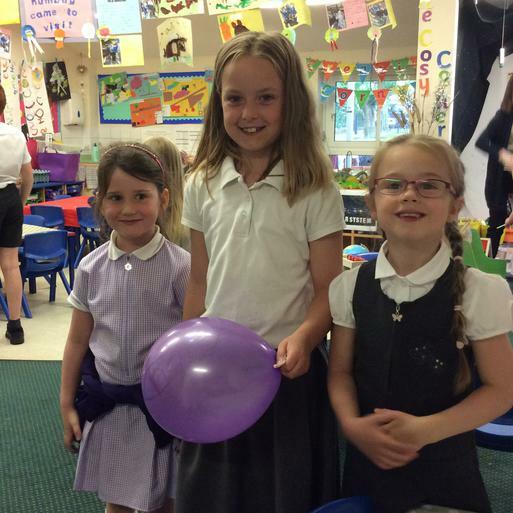 Ben added: "There were two reception children to one year 4 - we used card, scissors, balloons, pens, straws and gaffa tape; the 'Big Buddies' gave advice to the 'Little Buddies'. 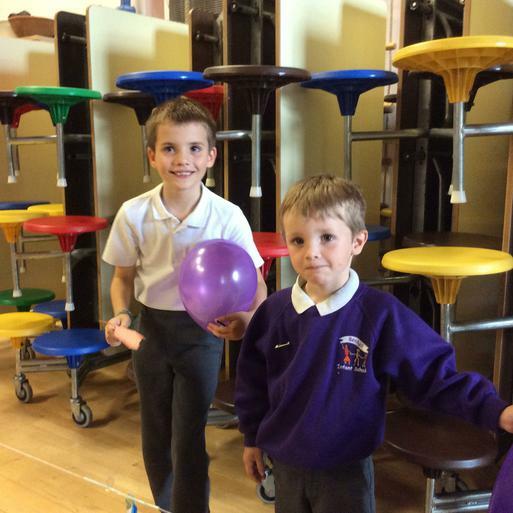 I think it went really well - there was a great atmosphere with the hustle and bustle of everyone working together."